Location: South of a sharp bend in Station Road. Present state: Platforms still extant although the trackbed has been infilled up to platform level. 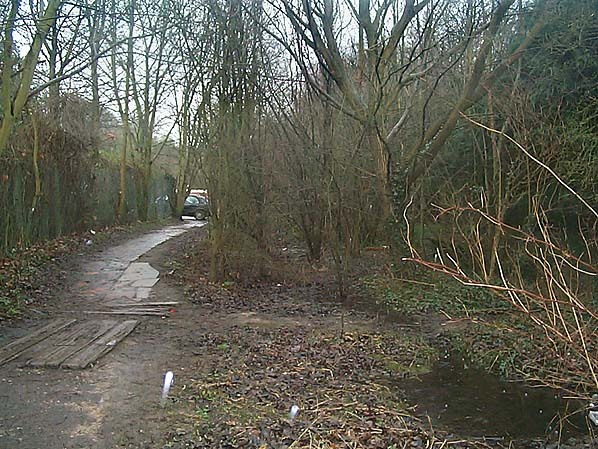 There is a public footpath running through the site as far as the goods yard. Notes: The original station at Buckingham was a modest structure with a wooden building on the Lenborough Road side. 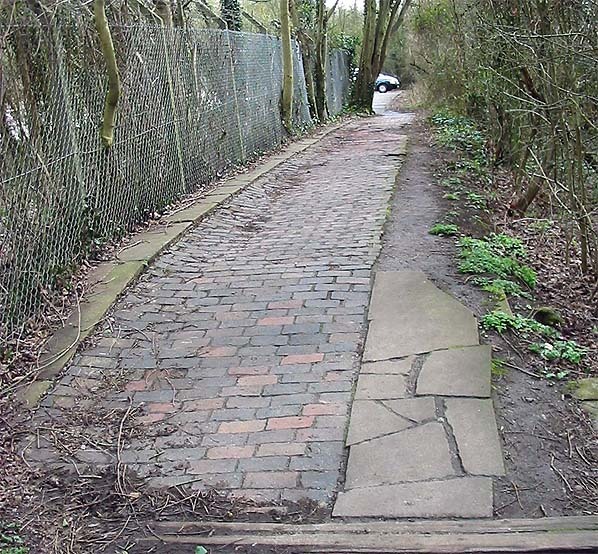 It had poor access being virtually in the middle of a field along a footpath. 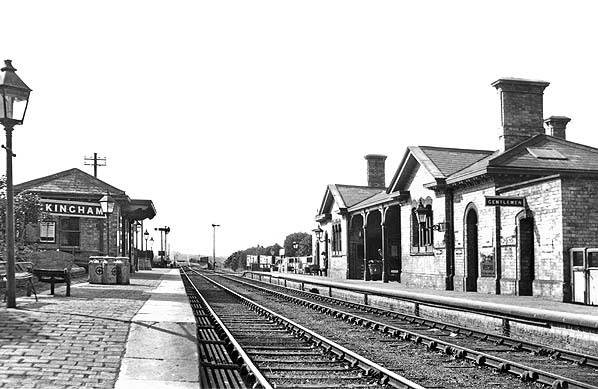 A new station was opened in 1861 with a new Station Road serving the station on the opposite side of the line to the earlier entrance. to store a mixture of stock. The war time construction of an ammunition works at Banbury intensified goods working through Buckingham. (The ammunition works can still be seen either side of the M40). 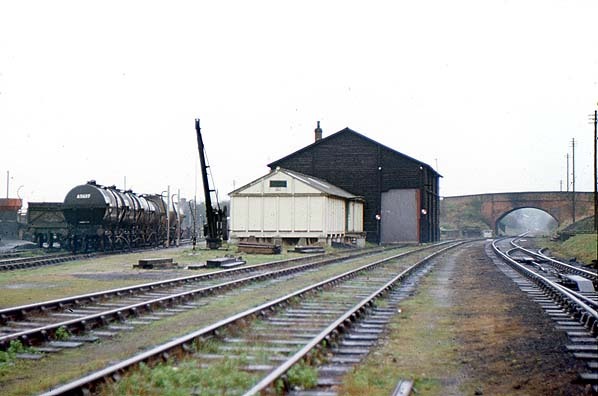 Buckingham goods yard was located on the north side of the A421 and consisted of two sidings serving three coal wharves, a timber yard and an oil store with a loopline running through a goods shed with another short siding serving a cattle dock. 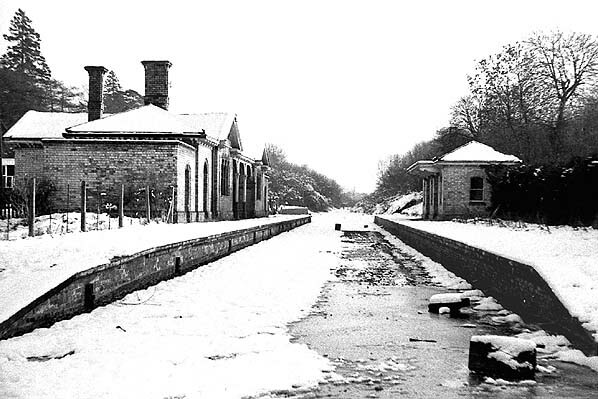 During the 1930's a new cattle dock was built at the station on the site of the original platform to comply with new government legislation requiring water to be available during loading and unloading. at Radclive and Water Stratford were opened between Fulwall & Westbury and Buckingham and a third on the edge of Buckingham was suggested but not built. 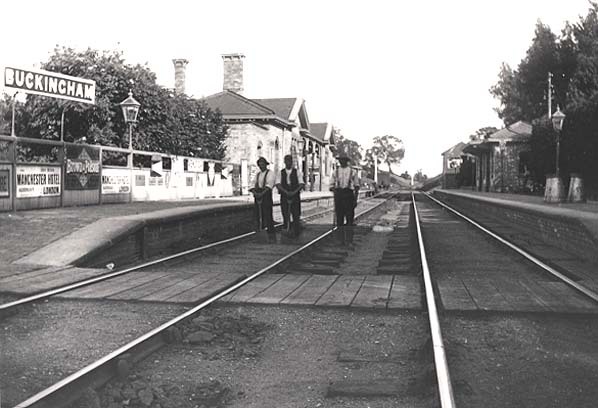 Buckingham Station looking south-west in 1897. 1900 1:2,500 OS map shows the layout of the station and goods yard. 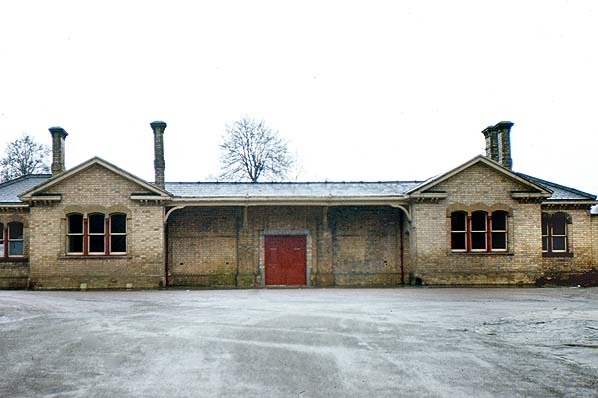 At this time private sidings served a milk factory and the Town Mills on the north side of the station and a gravel pit to and malthouse to the south. By 1922 the two sidings on the north side had been lifted. 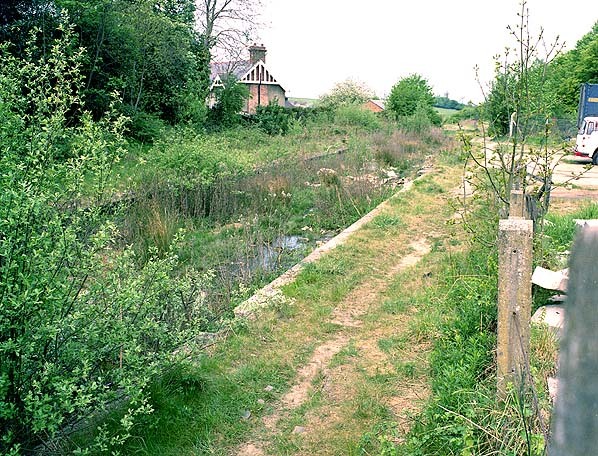 The gravel pit to the south was disused; the siding was still there but it had been shortened. Only the malthouse siding was still in use. 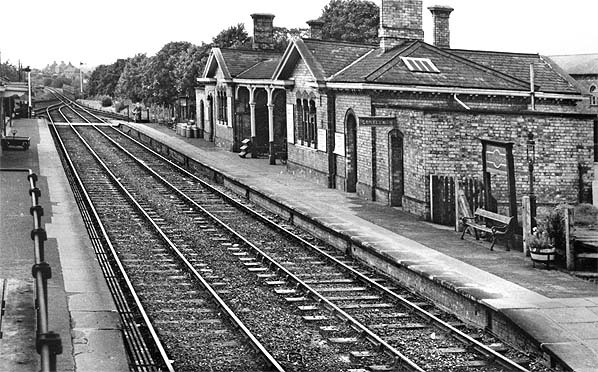 Buckingham station looking north-west from the down platform in 1933. 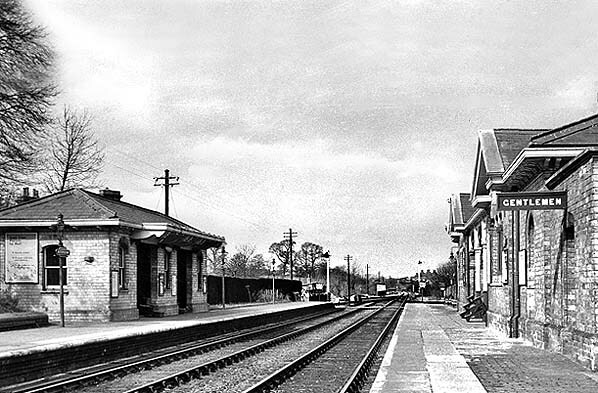 Buckingham station looking north-west c 1950s. LMS signs are still displayed. The siding running behind the up platform (right) originally served a milk factory and the town mill. 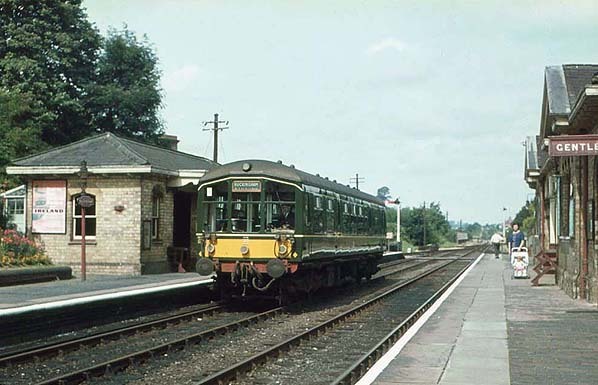 By this date it ran for a short distance behind the station building. Buckingham station lookin g north-west from the up platfrorm in March 1962; BR (London Midland Region) maroon signs have now been fitted, including totems. The platforms at Buckingham were never raised and a set of movable wooden steps are seen on the right leaning against the wall. 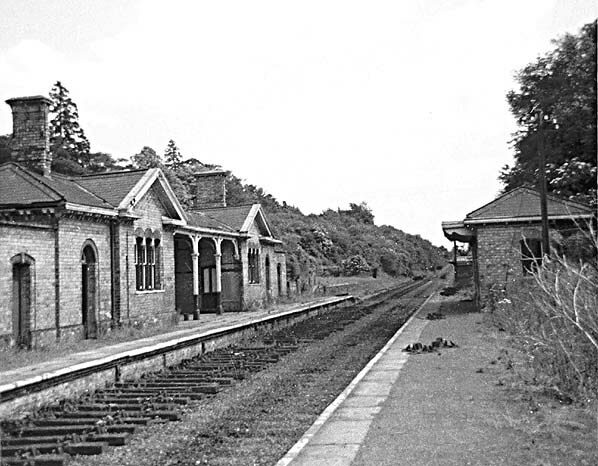 Buckingham station looking south-east in 1963. 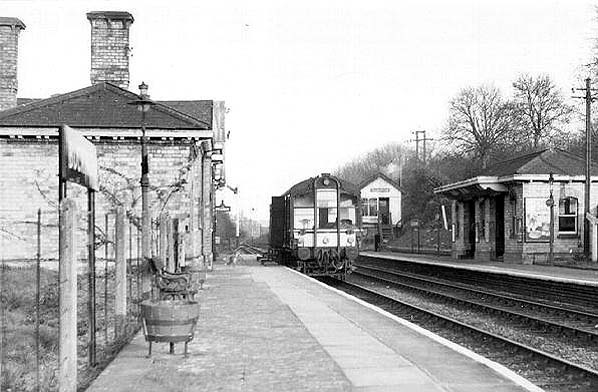 Buckingham Station looking north west from the down platform in May 1964. 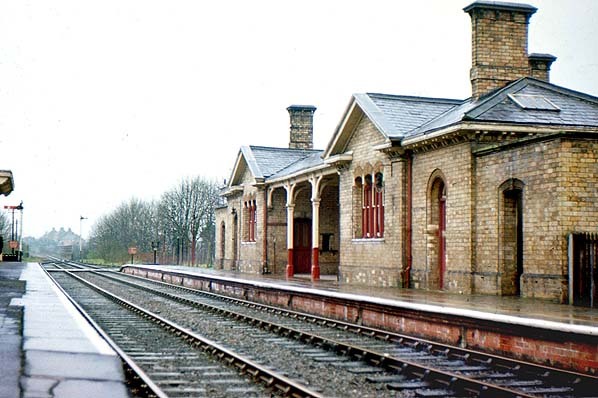 Buckingham station looking north-west in April 1966. 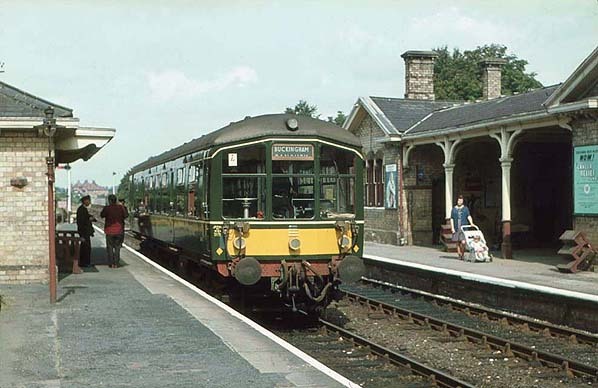 Although closed to passengers two years earlier the station was still open for goods traffic at this time. 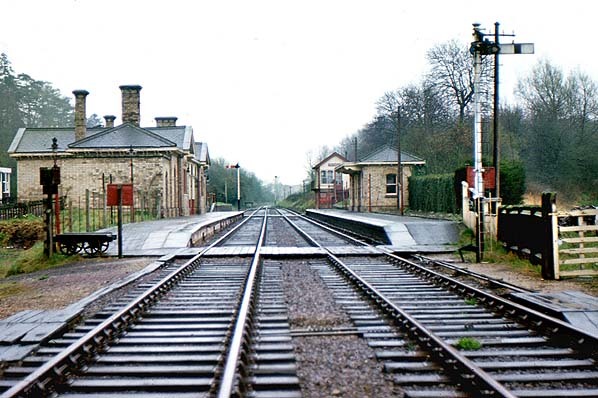 Looking south-east towards Buckingham station in April 1966. Buckingham station forecourt in April 1966. In April 1966 Buckingham goods yard was still open although it would close by the end of the year. The goods dock is seen behind the goods shed. The building in front of the goods shed is a grain store standing on staddle stones to deter rodents. The surviving north-west end of the up platform in April 2006.